When we say this 7 Day Reboot program is for everyone we mean it is for EVERYONE. 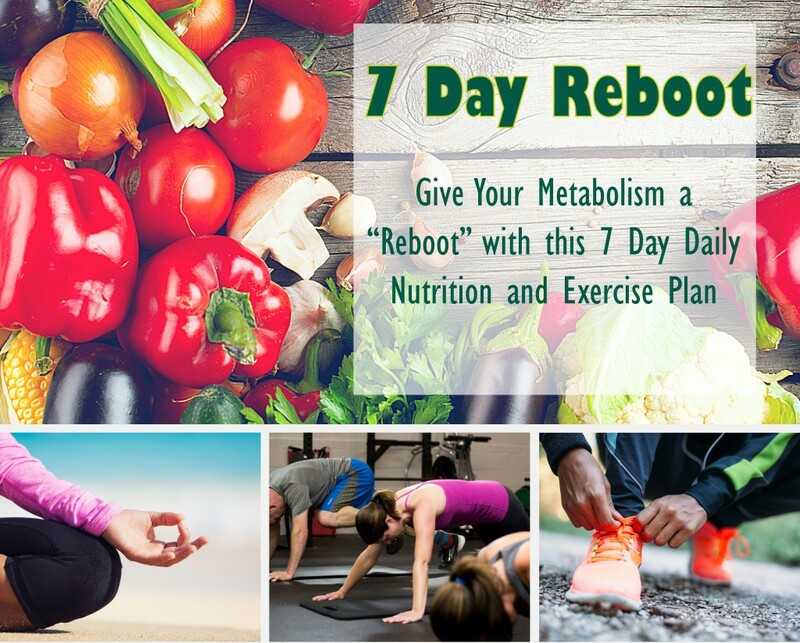 The idea of the “7 Day Reboot” is to boost your metabolism by adding a little extra into your workouts each day for 7 days, eating 3 home cooked meals each day and experiencing something new and different away from the gym. Step 1: You will be given an activity each day for 7 days. They are not overboard, crazy things plus we give alternative ideas for those of you who have restrictions. All we ask is that you do the best you can with the activity of the day and work out to your level…but don’t cheat. It is perfectly ok (we encourage it) if you need to modify sets, reps etc. as long as you are working out to your highest level. Everyone is different and this is about getting out, trying something new and moving every day. Step 2: For additional motivation and encouragement we have set up a special 7 Day Reboot closed Facebook Group. When you sign up for the program also join the Facebook Group and make sure you post a picture of you (selfie time…and you know we all love selfies!) participating in the activity of the day. We love our fitness community and encourage everyone to pay it forward by helping each other. Therefore, everyone in the Facebook Group participating in the challenge will be able to hold each other accountable and provide encouragement when needed. Step 3: In addition to the daily activity you will be asked to eat 3 healthy meals a day. We will give you a list of healthy foods for breakfast, lunch and dinner. As an extra added BONUS we will also give you 3 sample recipes for each meal you can try out if you so choose. ***BONUS POINTS – post a picture of you cooking a meal or the finished product in the closed FB group to keep the group motivated. **The meals for this program are versatile, healthy and most important they DO NOT focus on restrictions. It’s about taking the time to make a good meal with lots of different food options as opposed to skipping breakfast, eating out for lunch and ordering take out for dinner. Step 4: Join us for a FREE Yoga Class on Saturday, October 1st. Flexibility training is key to building strong, lean muscle and is great to help decompress after a long week. After the Yoga Class, join us for a Happy Hour to celebrate all of our great results during the program. Register Today for the 7 Day Reboot! →Only $37 to participate…invite a friend or family member for more fun and encouragement! !